Mix the lemon juice into the Greek yogurt. 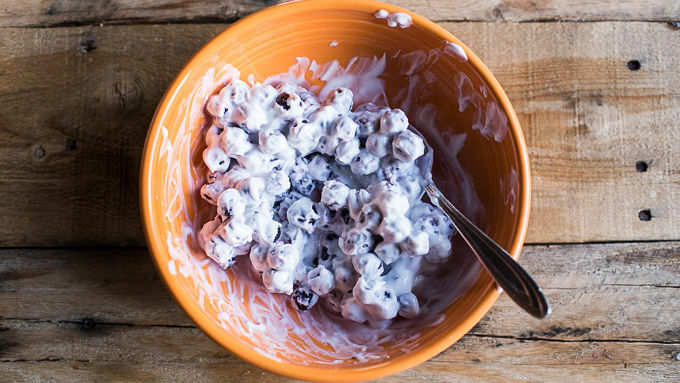 Add the blueberries to a bowl and then add the yogurt. Toss well to coat. Try using raspberries, blackberries, sliced bananas or your favorite fruit in place of the blueberries. Try different flavored yogurts for a fun twist. 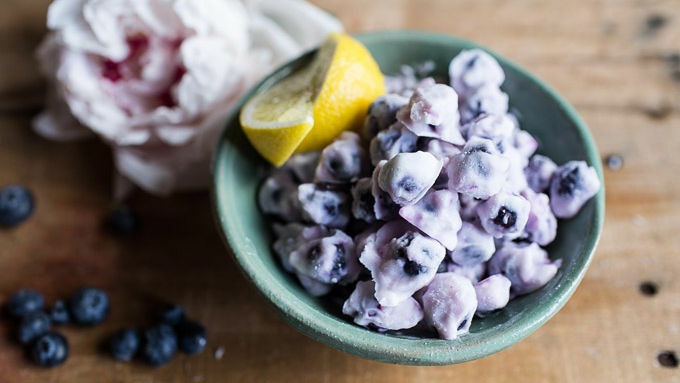 Freeze lemony yogurt-covered blueberries for a deliciously chilly snack. Have you seen all the yogurt-covered snacks in the grocery store lately? Like pretzels, granola bars and fruit? I have been lured into buying them one too many times. And when I say lured, I really just mean that I was hungry while grocery shopping and my stomach pretty much did my grocery shopping for me. Ugh. It happens. Well, the good news is that we can all make these yummy snacks with three everyday ingredients and just 5 minutes of prep—plus a little freezer time. YESSS. 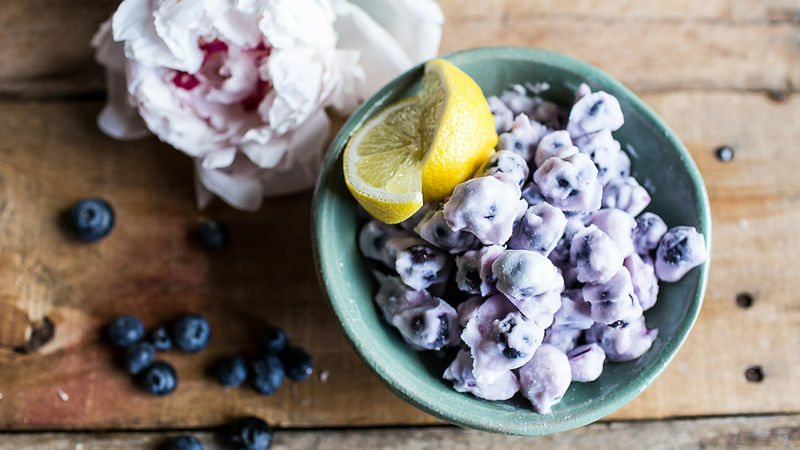 It sounds too good to be true, but all you need to make these frozen yogurt-covered blueberries are Greek yogurt, lemon juice and blueberries. Try using raspberries, blackberries, sliced bananas or your favorite fruit in place of the blueberries as well as different flavored yogurts for a fun twist. 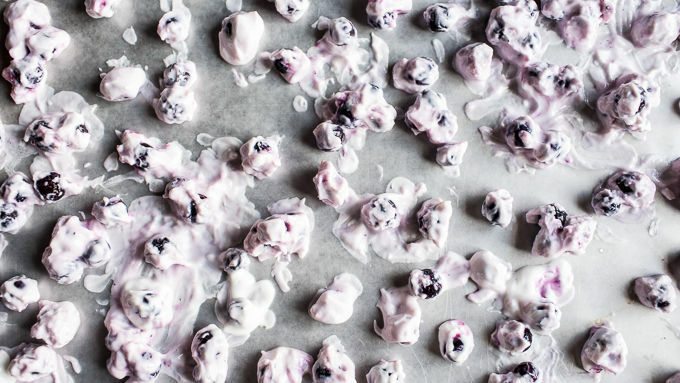 Place the yogurt-covered blueberries on the prepared baking sheet in a single layer. Freeze one hour or until frozen. Then chill out and dig in! Store in a freezer-safe container in the freezer for up to one month.